Please note, alcohol is not served on Islamic Holidays. No BYO alcohol. Please arrive at 20:00 for boarding. 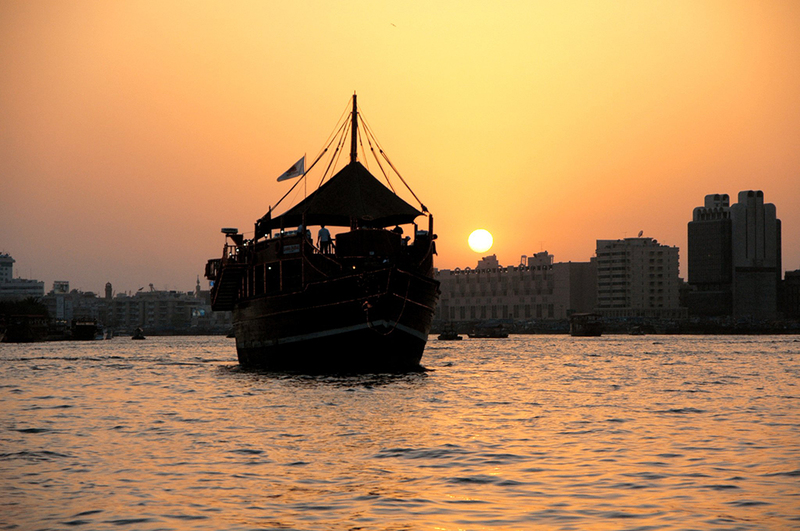 The Dhow is located in Deira near Spice Souq. Transfer to and from the cruise is not included. You will receive a voucher once your booking is confirmed. Please present your voucher and your valid Dubai Pass to the staff at the boarding area on the day of the cruise. If no voucher and pass is provided then you will not be allowed to join the cruise Once a booking is made no cancellations or amendments will be accepted. 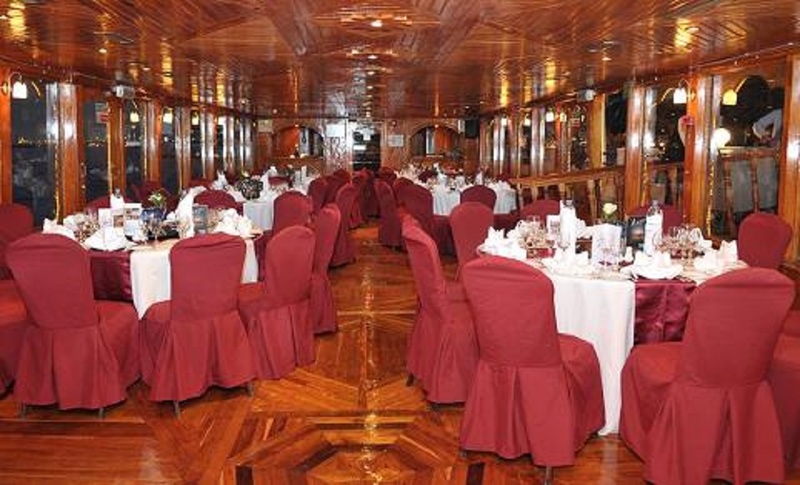 Creek Cruise, a traditional floating restaurant with unique atmosphere offering a true Arabian experience, 2 hours of cruise in Dubai creek, Buffet dinner, background music. This cruise is specially designed to ensure you have a memorable experience and enjoy the wonderful atmosphere of Dubai by night. 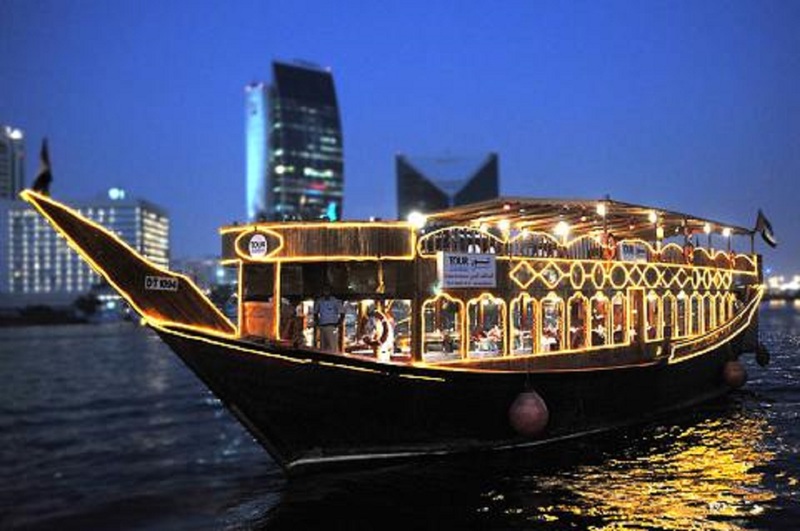 This 2 hours cruise will start from Deira behind Chamber of commerce building (Couple of other locations as well). 20.00 hrs boarding, 20.30 to 22.30 hrs is cruising. A warm welcome before boarding the traditional Dhow. International buffet on board with the option of Vegetarian dishes. Unlimited soft drinks, water, coffee and tea served on board. If you have special dietary requirements make sure you alter the booking vendor to your needs prior to visiting the venue. The Creek Cruise is located in Diera Creek, behind Chamber of Commerce building. Since there are tow other locations better call and check eth exact location of teh Dhow on the day of trip. From Downtown Dubai, it will be about a 25-minute drive in a car or a taxi ride. Walking is not recommended from Downtown Dubai. If a guest fails to show up for any tour or activity, we will not provide alternative transportation method and no refund will be issued for any no-show. In case of bad weather, there will be different arrangements made. No refund will be issued for any unused inclusion in any tour or activity. We reserve the right to reschedule any itinerary or cancel any activity at any time, due to customer safety and providing quality service.